Houghton Chapel and the Multifaith Center at Wellesley College were built to provide sacred space for the transformative work of religious and spiritual life in higher education. In 1896, a gift of $100,000 was made for a chapel, donated by Miss Elizabeth G. Houghton and Mr. Clement S. Houghton, in memory of their father. The William S. Houghton Memorial Chapel was designed by Heins and La Farge, the architects of the Cathedral of St. John the Divine in New York. 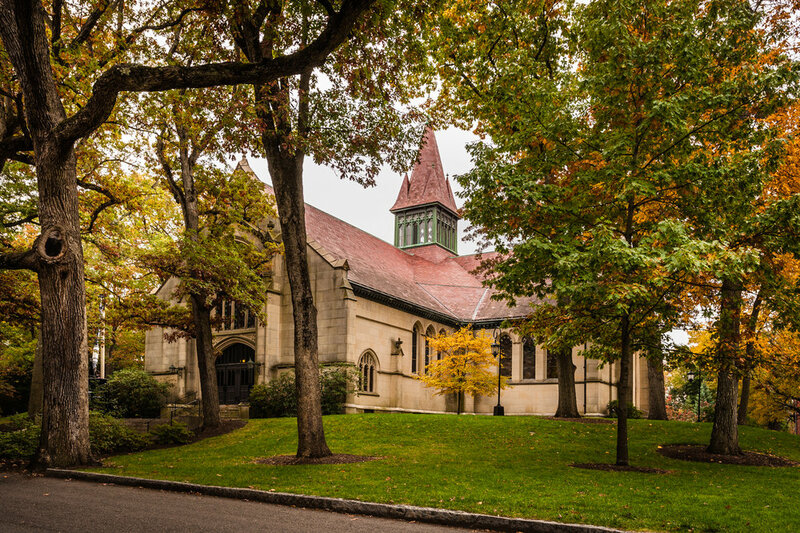 Since its dedication on June 1, 1899, the historic Houghton Chapel has served as a center of community life at Wellesley College. The Chapel has provided a venue for College ceremonies and traditions, concerts, lectures, and other performances. Houghton Chapel has afforded the community a spiritual space, reflecting the College’s commitment to the education of the whole person—intellectually, relationally, and spiritually. In the spring of 2008, renovations were completed including the creation of the new Multifaith Center on the first level of the building, designed by KieranTimberlake. The Multifaith Center is a global center of learning and discovery for all people: a place for prayer, meditation, study, worship, and education. 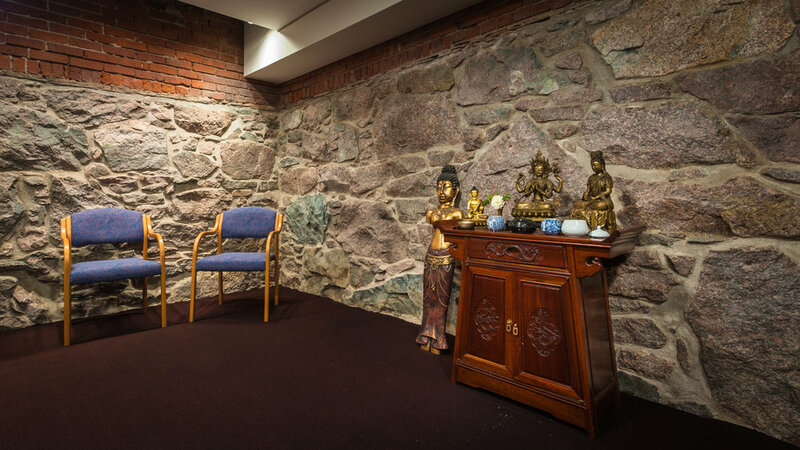 By adding new sacred spaces to the existing facilities in the Chapel and Hillel Lounge (Billings Hall), the Center provides spaces for regular gathering for all of the religious communities including a dedicated space for prayer with traditional wudus, or ablution stations, a meditation room, a study, and a central gathering space. The Multifaith Center has become a cherished home for students of diverse religious and non-religious traditions.